Update: Hi all, I am doing my first giveaway! If you read my blog post the other day on the miraculous Zipadee Zip, then you know how this thing has changed our lives as parents. The makers of Zipadee Zip liked my review so much, that they offered to help me do a giveaway. All you have to do is 1) "Like" their Zipadee Zip Facebook page and 2) leave a comment about why you could use a free Zipadee Zip on this post! The contest begins Wednesday, May 27 at 12:00 AM and ends on Sunday, May 31 at 12:00 AM. Good luck! 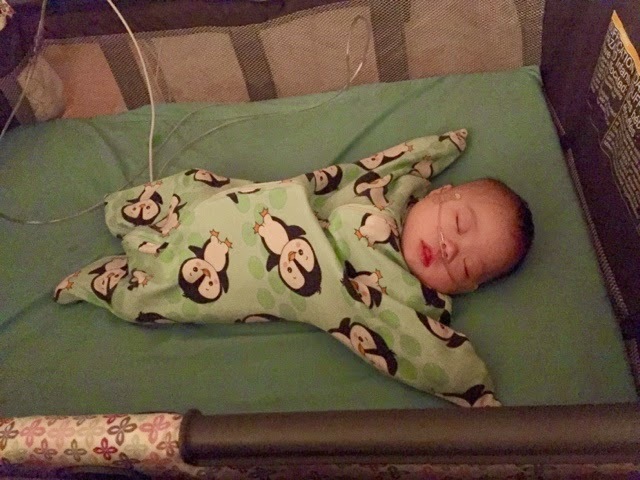 Original post: There was a point in time when I was just proud I could swaddle teeny tiny Evie with a hospital blanket. Then she came home and started busting out of the blankets, and woke herself up all the time. Her arms flailed and her legs kicked while she was sleeping, which of course woke her up. But then she got bigger and craftier, and I needed to find something else to keep her feeling secure and keep her arms tucked away. So we switched to Swaddle Me sacks we had inherited from friends. 1. The Startle Reflex (otherwise known as the Moro reflex). Babies startle easily from loud noises or the sensation of falling. We did a 30 minute trial of no restraint, and she woke herself up at least 5 times. We quickly gave up because we wanted to actually sleep at night. Evie will punch herself all night if we let her--her reflexes are quite strong and she sleeps for 10 minutes at a time at night if not swaddled properly. She has broken out of the Swaddle Me before and kept us up at night. 2. If you spent 9 months in a womb and then had to sleep all free in a flat bed, you might feel a little less cozy too. Oh wait--you did spend 9 months in a womb. I'm guessing you sleep in nice blankets now. But babies can't do that, because of the risk of SIDS (Sudden Infant Death Syndrome). 3. Add in a g-tube that, if pulled out by a resourceful baby, would cost you a trip to the ER to keep the hole to her stomach from closing up within a two-hour window. That would make you want to restrain her arms for her own safety and your sanity. 4. Oxygen tubes everywhere = strangling hazard. Enough said. I adapted the Swaddle Me sacks by cutting a hole through the bottom along the seam to allow the g-tube to go through for her overnight feeds. This worked until...Evie started to get strong enough to poke her hand through looser areas overnight. 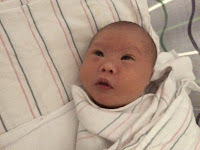 I began to research other swaddles, but the other ones weren't as adaptable for the g-tube. And then I ran across this amazing thing on a Facebook group for mommies. It's the Zipadee Zip. This zip up garment is meant to simulate the safety of the womb and be a transition from swaddling. And it makes your kid look like a starfish. The creators of the Zipadee Zip went on Shark Tank and went big time. Their story is pretty cool too. Oblivious sleep in her Zipadee Zip. Of course I got the penguin pattern! The first time I put this on Evie, she smiled and waved her arms happily. I thought that was cute, but didn't think much of it. The next day I put her in it for a nap, and she slept for 2 hours instead of 30 minutes. And then I decided to try it overnight and I was completely sold. We put her in her pack and play and that was the first time I heard her giggle. She just laid there waving her arms around and giggling at me. And then she slept through the night without grunting. The other miraculous thing is that the Zipadee Zip has helped us with bottle feeding. Evie is a very poky bottle feeder and literally drinks about 1/2 an ounce with crying and sputtering, and then stops drinking. I put her in the Zipadee Zip now to feed, and she is more calm and controlled when she drinks. Two weeks later of using the Zipadee Zip (which Erick likes to call the "Magic Sack" to annoy me--it sounds so unclassy), Evie is still sleeping through the night. She naps in this thing too. It's amazing how she can still move her arms, but doesn't wake herself up anymore. Where can you get one of these, you ask? The Zipadee Zip is available here: www.sleepingbaby.com. I can't say enough about these. They can literally change a parent's life if their child has trouble with the conventional swaddling blankets, has trouble concentrating to eat, or has tubes all over the place like ours. I wasn't paid for this post! I just want to spread the word about these awesome things. I hear that they are great in the hospital too, so we will try them out in a couple weeks for her surgery stay. I've already bought 6 of these, because unfortunately--as magical as these are--I can't stop her from pooping in them sometimes. So there you have it--from Straitjacket to Starfish. Thank you, Shark Tank and the Parker Family, for bringing this wonderful product to the masses. I just love this review!! :) Can you please send me an e-mail at support@sleepingbaby.com? i have a 3 month old girl who needs to transition out of her swaddled. A zipadee would be perfect! Hi Amy! I was thinking about getting the zipadeezip but your blog post has convinced me! Anything to get Emmy to sleep longer stretches at night right?! I'd love to give it a try... especially since we just put the AC's in and I worry about her getting cold! Liam wants one. 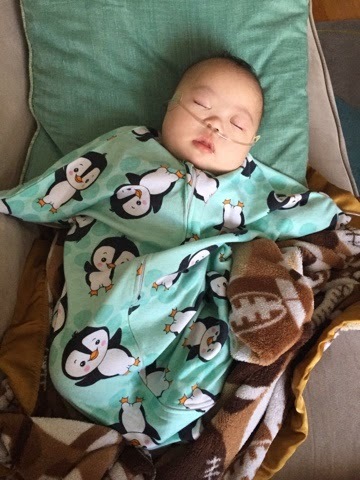 He might decide rolling all the way to his tummy to sleep through the night isn't so bad after all if he didn't have all that sleep sack fabric around his legs. The whole V-B family hopes he's the winner. I could totally use one! I actually posted on FB asking if anyone was interested and was linked back to your post. My 7 month old son has severe acid reflux. He had to be tightly swaddled and in his rock and play just to get a few hours of sleep. We transitioned to the zippy when he started rolling over and it was the best thing we have ever done for him. 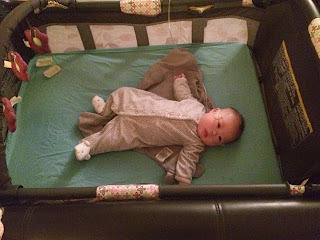 He is now able to sleep in his crib and find a position himself that makes his reflux comfortable. He slept from 8:30pm to 7am last night for the first time and I know without the zippy this would have been impossible. He is now ready to move up to a medium and I'm sure he would LOVE to win it! Also, I already LOVE zipadee-zip on facebook so I cant like it again... but if I could I would! I have a zipadee-zip for my daughter, but she's growing fast and will need a medium soon. What better way to get one that to win it? ;) Fingers crossed! We can use a free zipadeezip zip! We just had triplets in April and anything for free will help us! We would love one for our new little guy! My daughter had one and wore it every night until she was one! It was a lifesaver! I've heard amazing things about the zipadee-zip. I would love onw for my son so he will actually sleep through the night. DD is 4 months old and is outgrowing her swaddle FAST. She is just so squirmy and always seems to break free from it. First, this would be a great transition for us to get her out of the swaddle. 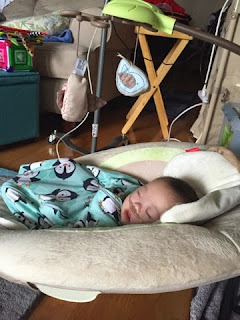 Second, because she is so squirmy - it would put our minds at ease knowing that if she rolled over in her sleep, she had her arms free to roll back instead of being stuck and not able to breath. Third, we are going on a 2,000 mile road trip this summer and I think this would really help her sleep sound in her carseat. All my friends on facebook recommends the Zipadeezip and we would really love to try one and see if they are as FABULOUS as everyone raves about. We have one, too, and LOVE it. We started Connor off in it a little early (2 1/2 months instead of waiting until 3). 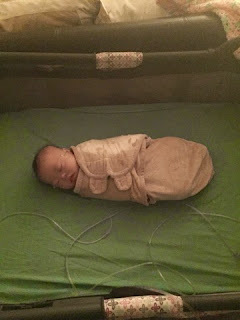 I couldn't for the life of me get him to stay swaddled in blankets, and he broke free of the SwaddleMe's from the start, too, so we woke up sometimes 6 times a night to reswaddle him. The first night I put him in his zippy... he woke up ONCE to eat, and that was all. Yes! I would LOVE to win another one because when his diaper leaks... we're in trouble only having one! I would love a Zipadeezip for my 2 month old. He loves being swaddled but I worry about once he starts rolling from his back to tummy and we can't swaddle him anymore! The Zipadeezip would definitely help make that transition easier. It sounds like an amazing product! My son is outgrowing his size medium so I would LOVE a size large!! We love our zippy. Interested in selling your medium? My almost 4 month old needs to transition from his swaddle.... We would love a zipadee zip! My son is outgrowing his small and I'm in full panic wanting a medium for him. I would love a Zipadeezip for my son, Aaron. He's 15 weeks old and is starting to bust out of our other sleep sacks. Based on reviews I've seen it looks like the Zipadeezip would allow him a sense of security while still being able to move his arms. Mommy would love to have more than two hours of uninterrupted sleep and hopefully a Zipadeezip could make that possible. I have a four month that hates a swaddle but has a hard time staying asleep! Amy, I was just keeping up with your blog (so wonderful, thank you! ), when I happened to read this. Wow, what amazing timing! My little one just turned 4 mos old and we've had to stop swaddling him (he can bust out and just started rolling over onto his tummy). We now have trouble getting him to sleep and when he finally does sleep, he wakes up often. He also ends up crying all evening from being overtired. We also have an active 3.5 year old, so I've been getting very little sleep. I had no idea the zipadee zip even existed! Thanks SO much for sharing your experience -- we're going to have to give it a try too! Love this review, your little one is too cute! I would love to win one of these for my little girl. She's 6 months old & still wakes up crying anywhere between 1 & 4 in the morning & it can take a couple of hours to get her back to sleep. I would love to see if this would work for her & hep her sleep through the night.